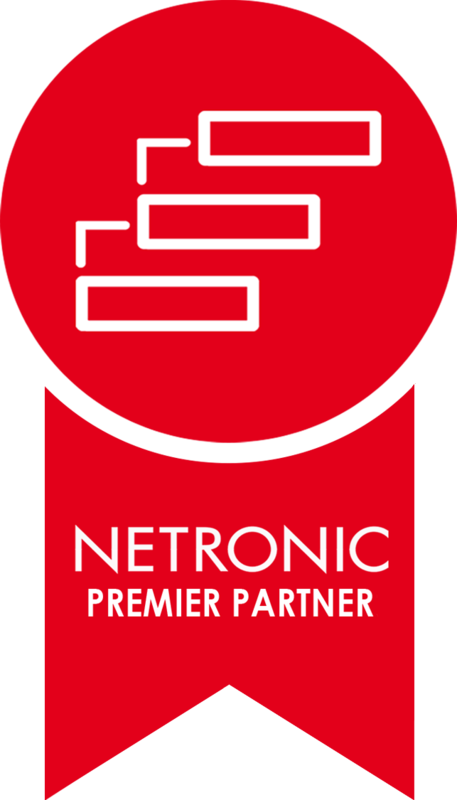 What is a NETRONIC Premier Partner? NETRONIC Premier Partners aim at long-term, strategic and very close cooperation, and include a graphical planning board as integral part of their offer to many customers. They show us through their commitment to our products, that they are more engaged, present, and knowledgeable than ever before, and have acquired the know-how and drive necessary for ongoing mutual success. Granting them the status and achievement of Premier Partner allows us to honor their efforts with a token of our appreciation. It is not just the badge these partners are granted. As they have shown us their commitment, so do we return the favor in the true meaning of partnership by working to not only maintain our strategic relationships, but further our joint-success by literally putting our money where our mouths are. This means increased margin on licenses sold, access to end customer leads generated by NETRONIC, and (among many other things) a dedicated NETRONIC contact person. So, who has earned the status of NETRONIC Premier Partner? The COSMO CONSULT Group specializes in the implementation and system management of business software solutions for small and medium-sized and large companies in the fields of manufacturing, services and trade. They have an entrepreneurial mindset, act with foresight and strive for holistic, practical and useful solutions that are simple, fast and easy to implement and maintain. They create solutions that put the focus on people and therefore lead to the optimum benefit. Through this understanding, they provide our customers with continuous and reliable support at the local, national, international and global level – especially when it matters most. Learn more about them here. Based in Guatemala and El Salvador, IDS has already, in a very short time, proven their commitment to working with NETRONIC. NETRONIC is thrilled to grant them the status of Premier Partner, and look forward to many more successful business ventures together. IDS is one of the top choices for NAV implementations in Central America. They are a technological facilitator who, for 35 years, have helped organizations to be more competitive, profitable, and innovative with state-of-the-art technology. Learn more about them here. Based out of the United States, NTR began their partnership with NETRONIC in 2014. It has since grown into a mutually beneficial collaboration spanning the past four years. NETRONIC is ecstatic to grant NTR the status of Premier Partner, and looks forward to continued growth together. NTR specializes in the implementation of business management systems and process automation helping their customers streamline their processes and maximize productivity. Learn more about them here. It's such a good feeling for us to grant award this status to partners. It is a process we hope to repeat with many more of our partners all over the world.